As I'm writing this, I can't believe it's July! How quickly is 2016 going? We're now officially into the second half of the year. This week has been very productive as I've worked Monday to Friday and still managed to blog everyday! After seeing bloggers such as Sian (Cakey Dreamer) do this for a very long time, I became totally inspired to try it myself! So far so good, this is the 10th day in a row that I've posted. This week I spent my Saturday at the #DisneyLondonMU, catching up with friends I met in April and lots of new people too! We met at the Bond Street Disney Store before heading to Pizza Hut for lunch. I won't say too much more about this now as I've got a separate post planned, but it was such an amazing day! The cupcakes at Jodie's birthday party, food is an easy one to pick this week! 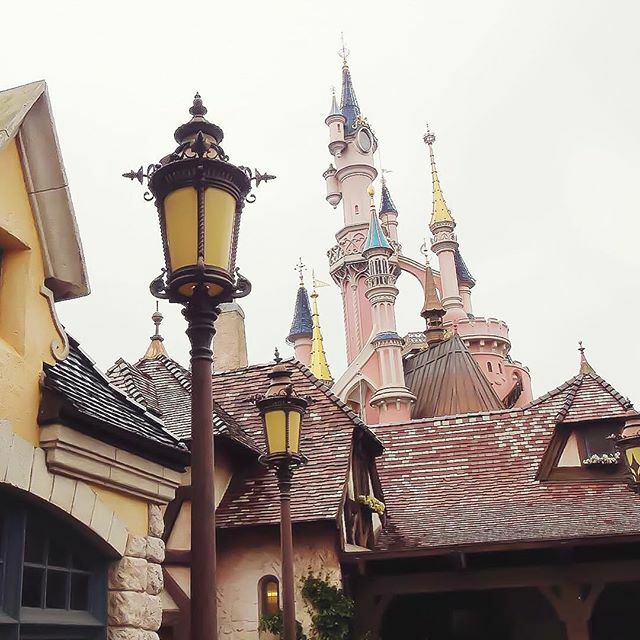 If you're a Disneyland Paris fan, then you'll really like Love Emily Jane's Instagram. She posted some lovely castle photos this week and the one pictured below is my favourite. Emily's account is always beautiful, filled with lots of pastel colours. You should definitely go and give her a follow! This week it has to be Brogan Tate xo. Her Grand Canaria vlogs have been amazing! Grand Canaria has been added to my travel bucket list after seeing Brogan's videos. Lottie Does - Long Distance Travel Must-Haves! Make sure you go and check them out, they're really great reads!